Our floating nut plate is designed for thru hole and blind mounting applications. The rubber fixture holds the part in place while it is bonded in place with acrylic adhesive. The fixture keeps the threads clean during installation. Remove the rubber fixture when you are ready to make up the assembly. The threaded nut floats allow for accurate bolt alignment. 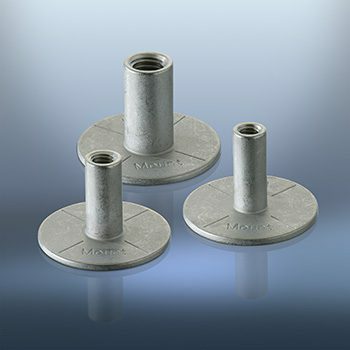 Nut plates eliminate tapping saving significant labor costs. Our stainless steel female threaded standoff mounts to virtually any surface. 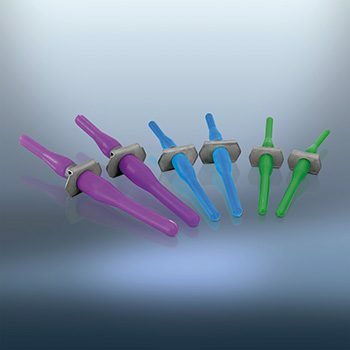 These standoffs are 20 mm tall. Like our studs, these parts can be bonded to either the upper or lower base surface. Use for thorough deck mountin of hardware or anywhere you need a fixed female thread. Maximum torque load is 10 Nm.